Start a new school year with the perfect outfit! Be ready for new experience and adventure ahead of you by accessorizing yourself and dressing up in cute clothes. 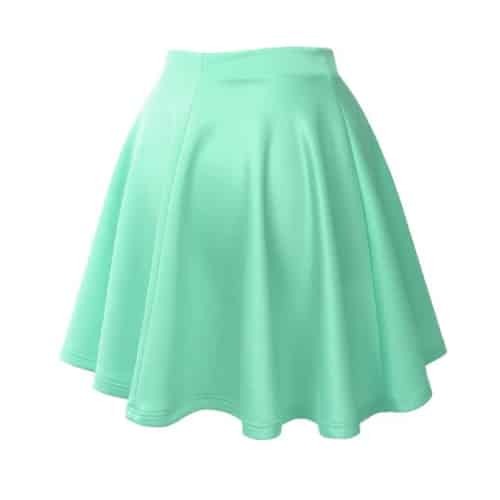 You’ll find cute skirts, shoes, clothes, and more in this article: I’m sure you’ll not be disappointed. Do you know what is equally important for back to school? School supplies! Be sure to check out our super cute school supplies selection for teen girls. Written for high school girls in mind, these outfit ideas also work for middle school and college girls. These clothes and accessories are pretty and affordable; the price range starts as low as $4. Perfect for budget shopping! Check’em out now. Basic color. Easy to match with any skirt or pants. Cute beaded collar, add some flashy element to your look. Solid, simple design. Stretchy. Pick pastel colors as it is sweet looking and also trendy now. Short ankle socks are not to be missed to create retro look. Pair with it wedge pumps, kitten heels or ballerina flats. Mary Jane is classic must-have. We pick red because it is bold and daring. Add live and freshness to your overall look. 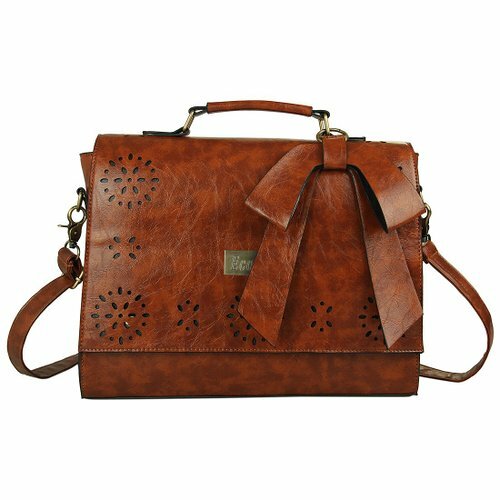 We love this vintage bag as it has beautiful brown color. Best thing is it has large capacity that fit textbooks. This is a great bag to create vintage look. 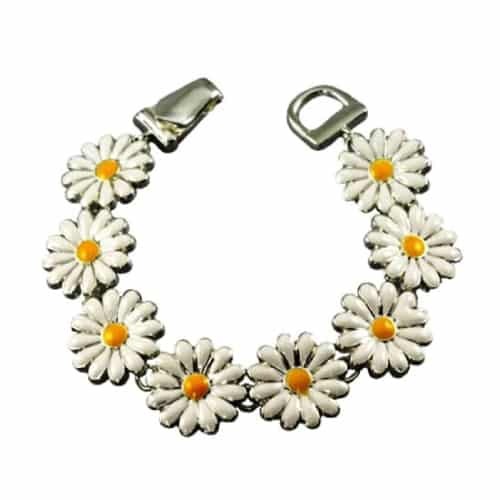 You can touch up with simple floral accessories like this daisy charm bracelet. Small stud earrings and small pendant necklace are also perfect. That’s the back to school outfits that we love. Aren’t they sweet and lovely? Do you like them? Tell us what you think!